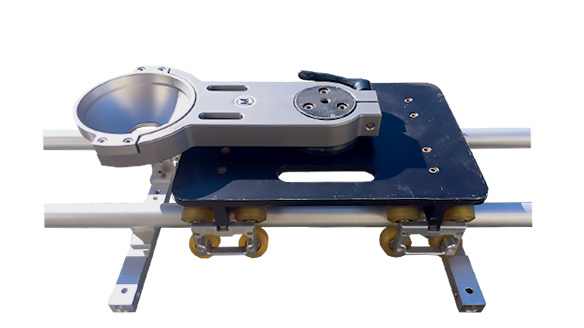 It is a hydraulic dolly, performing with smooth & quiet lifting arm also superior stability & operability. It is also corresponded to various scenes from basic shots to unique shots. Very useful for TV commercial like a table top also for a stage front track movement at a live concert. Camera position can be changeable in various ways. Weight heavy dolly but works great with attaching a long arm jib. 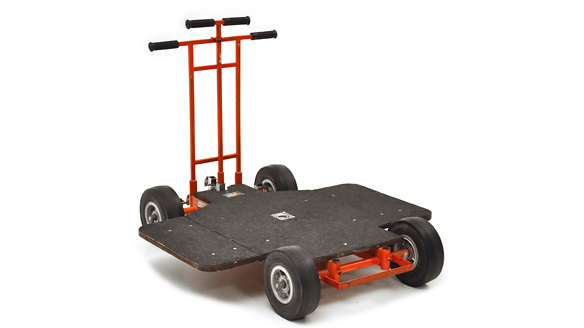 It has fixed wheels and easy to get on & off from tracks. very easy to exchange bogies for Matthew/Egrip wheels and tracks. 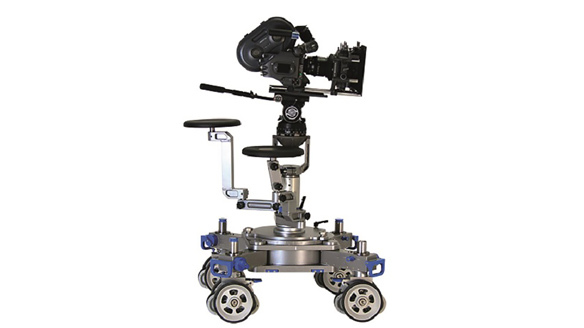 You can get more flexibility for camera movements by using the chair system as an option. 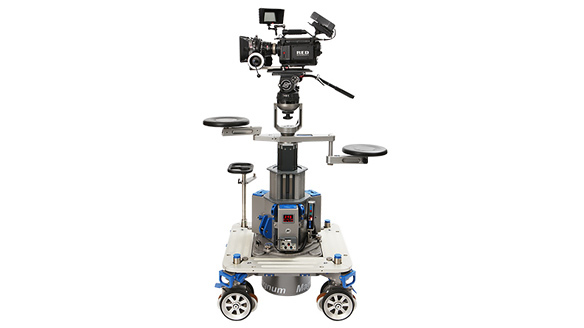 Very flexible to operate either a standard fully rideable dolly or a small camera dolly. 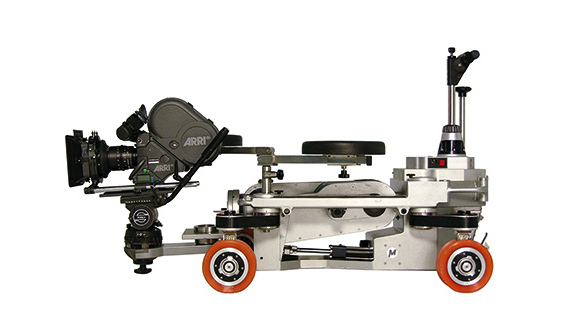 Also, it can be operated with complex moves combining a jib arm with a dolly. 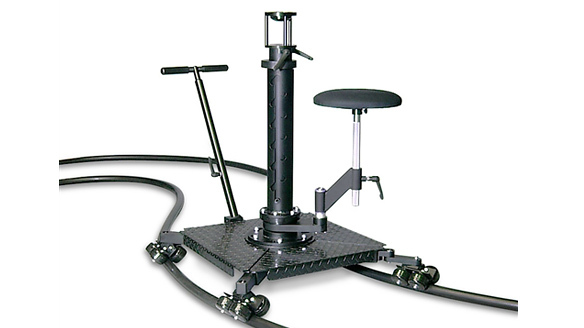 It makes dolly movements possible inside of tight spaces also useable for mounting as an underslung.